Presenting a wardrobe cornerstone: the grey suit. A slim cut, stylish finish brings together tradition and the modernity. A grey suit offers trimness, elegance and a simple message; smart, confident, thoroughly put together. See also: charcoal grey suit, charcoal grey wedding suit, dark charcoal suit. 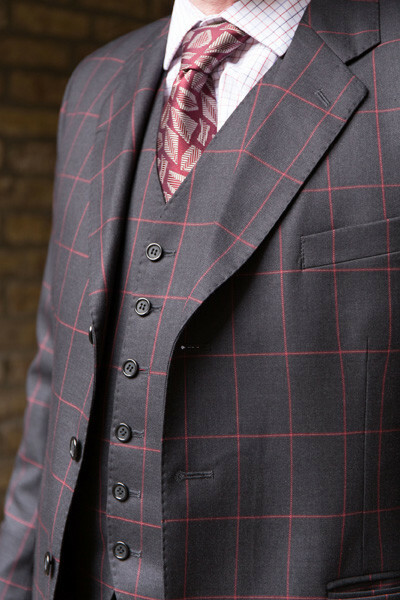 A beautifully presented three-piece suit, with a strong window pane pattern sitting on top of a classic charcoal wool. 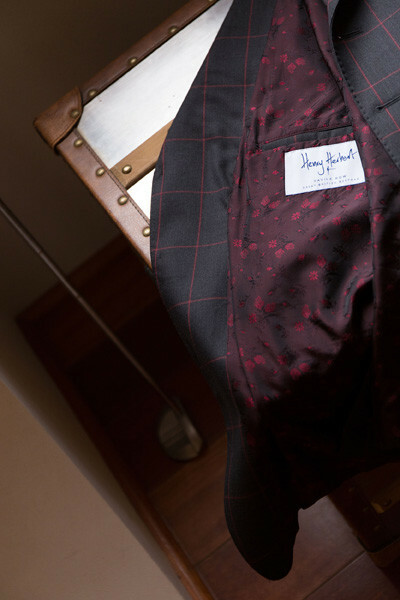 As a two button suit, it would sit elegantly on its own—but the waistcoat adds a classic finish. 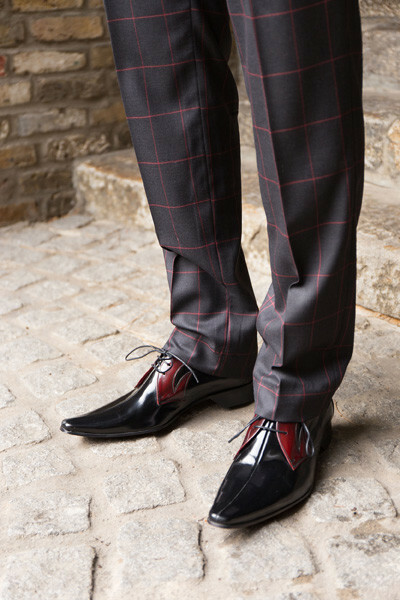 With working cuff buttons and a striking pair of shoes, it is a suit sure to catch the eye in the City. Made with a cloth of kings: a Super 160’s with cashmere, but built to last! The silk bubble lining finishes the suit beautifully. 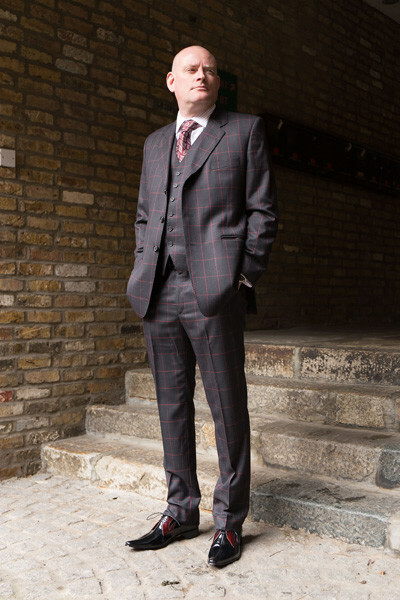 Bespoke Suits, Real Customers, Real Style Archives - Page 2 of 2 - Bespoke Suits By Savile Row Tailors.